Diagnostics, Molecular, PCR, Luminex, Real-Time, Fish, Virus, Infections, Bacteria, Transplant, Oncology, Oncohematology, Bcr-Abl, Philadelphia, 9;22, Citokines, Phosphoproteins, Cmv, Ebv, Vzv, Flu, Rsv, Hsv, Clostridium, Difficile, Bordetella, Dengue, Leiden, Protrombina, Prothrombin, Mthfr, 3m, Simplexa, Pna, Mirna, K-Ras, Kras, Egfr, Raf, Braf, Pi3k, FV Leiden, FII, direct PCR, ddPCR, cardiac valves, food analysis. Bioclarma is a company founded in 2007 that provides products and services to public and private research and diagnostic laboratories. Our reagents and equipments for molecular diagnostics are developed with the most advanced technological solutions, providing thus a complete solution for public and private laboratories that carry out activities in the field of genetics, oncology and infectious diseases. In particular, Bioclarma launched "Philadelphia Sensiquant", a high-sensitivity one-step RT PCR kit for the detection and dosing of BCR-ABL transcript in the monitoring of CML patient's minimal residual disease. A version of "Philadelphia Sensiquant" based on ddPCR is under development. Furthermore Bioclarma developed the "Smart SNP" product range, a direct RT PCR series of products focused on SNP detection intended to be used directly on whole blood, without the need of DNA exctraction. Another series of products belonging to the the "Smart SNP" product range is currently under development. The Service of Analysis that Bioclarma provides to its customers is aimed primarily at pre-clinical research centers, to which our company is able to provide an accurate and fully documented analytic report , as well as a highly qualified assistance in the data interpretation. In particular, our laboratories offer a service activity analysis based on the use of the Bioplex ® / Luminex ® platform (array system in liquid phase), which allows, through the reading of fluorescent microspheres, multiple and simultaneous analysis of tens of parameters . The opportunities Bioclarma gives to its customers is to make available the "multiplex" analysis of cytokines, chemokines, growth factors, signal transduction molecules, mutations and polymorphisms of DNA / RNA. Among our 120 customers there are major parmaceuticals and food industries, public hospitals, universities and other industrial partners. 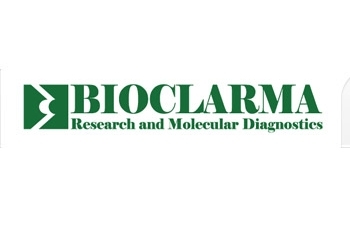 Bioclarma can either develop assays based on specific requests, providing a qualified consulting service for the validation of diagnostic systems on different platforms, in accordance with European 98/79/EC, which regulates the design and use of in vitro diagnostic instruments. Products: products dedicated to molecular diagnostics in the field of infectious diseases, oncology and genetics, qualitative and quantitative tests on biomolecules such as antigens, antibodies, nucleic acids.